Three excellent ideas to smarten sea going vessels have been chosen as winners by the jury of the Shipathon. 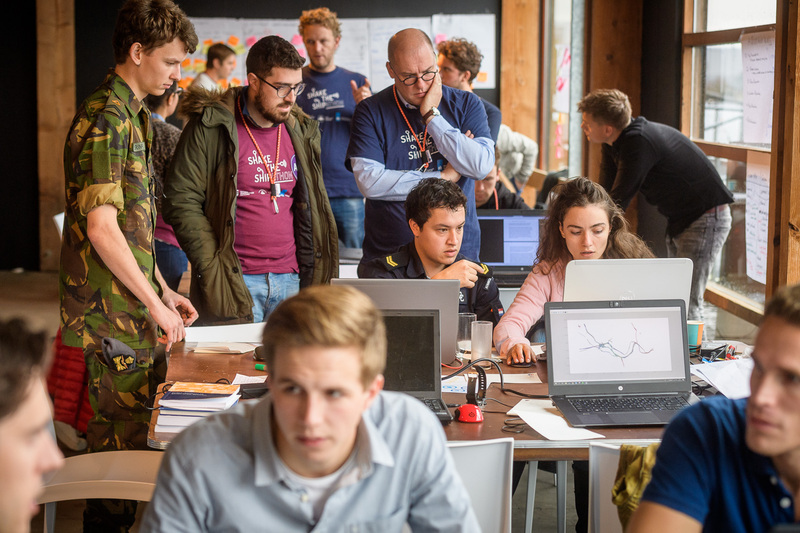 During the maritime hackathon (Shipathon) on November 9 and 10 in Amsterdam, 100 enthusiastics had 18 hours and 52 minutes (a nautical mile in time) to resolve the challenges. The Rijkswaterstaat challenge about collecting and using more big data has been won by team STTL! Their solution? Making use of existing big data. Analyzing it in a way Rijkswaterstaat could implement it tomorrow. The Koninklijke Vereniging van Nederlandse Reders (KVNR) wanted a solution on an optimal balance between sustainability and an efficient loading/unloading schedule. Team Multiple Choice came up with the best idea by optimizing the datasharing process between ships, shipowners and ports. For Netherlands Maritime Technology, the teams had to design a zero (harmful) emissions vessel. Team E-SHIPS won, by designing a ship sailing on ammonia. The winners are: team E-SHIPS, team STTL & team Multiple Choice. The Shipathon is designed to enable young maritime professionals and students to work on one of three challenges aimed a smartening seagoing vessels. The Shipathon attracts students and young professionals (ages 18-35) with a passion for maritime and a knack for thinking out of the box. After the kick-off on Friday, a team-up game is played to ensure multidisciplinary teams with the right team dynamics. Then it’s time to shake the ship for 18 hours and 52 minutes, a whole nautical mile of time. In teams with a maximum of five participants, you will start working on one of three challenges and pitch the solution to a maritime jury on Saturday morning. Throughout the process, each team is mentored by a maritime professional from a renowned organization. Themis Melissaris, Expert Hydrodynamics - Propulsion Performance Wärtsilä, shares his experiences of team STLL, the challenge of ‘Rijkswaterstaat’ with us. It was a great honor to participate in the very first edition of Shipathon. More than 100 people, three challenges, more than 24 hours in total, creating a team with new people you just met a few minutes ago, 18 hours and 52 minutes working together on a challenge that seems too difficult to solve in just a few hours. But still! A memorable experience with great ideas coming out eventually from this nautical marathon. All challenges were of high significance for the future of the Maritime Industry and every challenge was unique with its own difficulties. 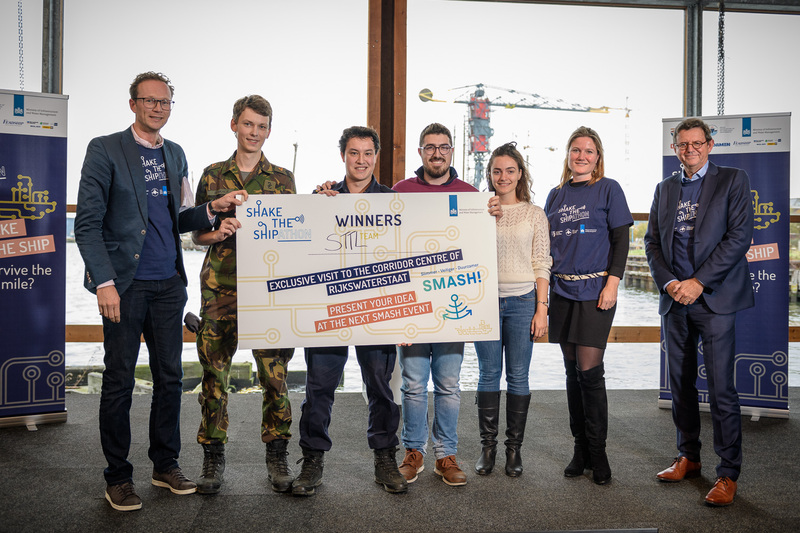 Creating a team of two student and two young professionals, led us to choose the first challenge from Rijkswaterstaat, on the mission to sustain safety, reliability and competitiveness of the waterways in the Westerschelde, considering the upcoming autonomous and digitalization of sailing. Maritime technology is going towards a smart marine vision, where autonomous ships will sail within a digital ecosystem. Autonomous shipping can reduce operational costs and eliminate the human error. However, as technology is today, it is questionable, if not impossible, to maintain safety and efficiency of sailing. So, the main question for Rijkswaterstaat was how we can maintain or even increase safety, when the first autonomous ships will come to the Dutch waterways and especially in the critical area of Westerschelde. Thinking of the current situation where there is a lack of collected data, lack of automated systems in ships, poor communication from ship to ship and ship to shore and lack of experience for new smart technologies, our team came up with an idea of e-navigation. E-navigation is not something new, and a lot of discussions and theories can be found in the literature. However, Westerschelde is an area that can be pioneer in controlling its waterways in a smart way. Sensors have already been installed, loads of data are stored every day, and still they are not utilized to their full potential. So, our first goal was to make clear that even a quick analysis of the existing traffic data can give a lot of information regarding traffic control and management. Furthermore, we proposed a futuristic idea for an ideal control of the traffic in Westerschelde, assuming that autonomous ships are sailing every day in the area (see Figure 1). The main idea is to collect all the data from ships (initially from AIS, location, ship id and speed) and from other sources (water data, weather data, tide moves, etc.) in a Common Maritime Data Structure, gather them into a Shore Control Center (SCC), where data analysis and processes will take place. Then, the SCC can provide the vessels with route suggestions (tactical route exchange) or even pure data, for dynamic path predictions (real-time decision making). Augmented reality can also be used for improved situation assessment. The communication between the shore and the vessels can be done with different kind of technologies, according to the cost and the level of communication needed (from VHF data exchange, which is a directly feasible and cheap option, to data exchange through satellite for global coverage). An ideal traffic control could increase the vessel capacity of the Westerschelde up to more than 35%, according to a rough comparison between the data we received from August 2017, and an ideal situation of ship platooning. One of the most important takeaways from this event is the power of peer collaboration. How powerful a group of people can be when there is no competition, no jealousy and the members just work for each other and for their personal and mutual growth at the same time, towards a common goal. It was quite impressive, how we reached from the ‘how do we start’ moment to the ‘how did we win’ moment. Having a few hours to tackle such a challenge might seem impossible at the beginning, but in the end with good communication and cooperation between the members of the team you can achieve great things. That is what happened with our team when we did not know where to start from, but eventually we came up with the best idea for the challenge of Rijkswaterstaat, with the contribution of all the members being very crucial. Finally, as a team we wanted to point out that in the forefront of smart technologies and smart vessels, we should not wait for them to emerge in order to take action. Areas like Westerschelde, where technological equipment is available, can easily be prepared for the shift to smart shipping. Such areas should be ready and capable of welcoming smart and autonomous vessels. Such a move will not only increase the safety and reliability of the area, but also the competitiveness and can render Westerschelde one of the busiest waterways of Europe and subsequently of the world, having a huge impact to the Dutch maritime and shipping industry and economy in general.